Revised and with an afterword by Peter Heather. This is a history of the Huns in Europe from their first attacks on the Goths north of the Black Sea to the collapse of their central European empire after the death of the legendary Attila. 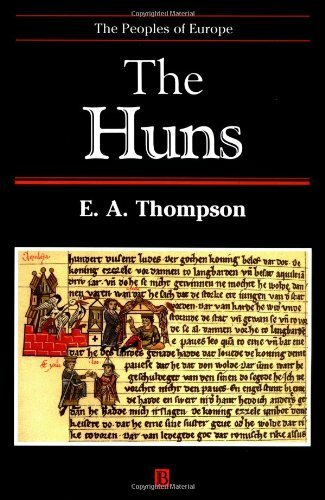 In the only connected narrative account of the rise and fall of the Huns in English, Professor Thompson reconstructs their campaigns in detail from disparate and often fragmentary sources. In the process, there emerges a clear picture of their dramatic successes, and failures, against the non-Roman peoples of central and eastern Europe, and of their many invasions of the eastern and western halves of the Roman Empire. The riveting history of the Huns is retold in this exceptional volume. From their first attacks on the Goths north of the Black Sea, to the collapse of their central European empire, the Huns campaigns are reconstructed from disparate & often fragmentary sources. --This text refers to the Paperback edition. This dramatic narrative is punctuated by analytical chapters which chart the transformations wrought in Hunnic society by contact with the more developed world of the Roman Mediterranean. In these chapters, the author sets himself the task of explaining the sudden rise and equally sudden fall of the Huns in the fourth and fifth centuries. He finds his answer in the impact of Roman wealth upon the original social structures of the Huns. The Huns includes an Afterword by Peter Heather, Lecturer in Early Medieval History at University College London, which sets Professor Thompson's book in the broad context of recent studies on the Huns. E. A. Thompson was Professor of Classics at the University of Nottingham from 1948-1979. His previous books include A History of Attila and The Huns, The Early Germans, The Goths in Spain, Romans and Barbarians and Who was St Patrick? The Huns includes a revised afterword by Peter Heather, Lecturer of Ancient History at University College London. Professor Thompson died in 1994. 2. The History of the Huns Before Attila. 3. Hun Society Before Attila. 4. The Victories of Attila. 5. Peace on the Danube Frontier. 6. The Defeats of Attila. 7. Hun Society Under Attila. 8. Roman Foreign Policy and the Huns. A: The Songs of the Huns. B: The Causes of the War of 441. D: The Campaign of 441-3. E: Chronological Note on the Years 449-50. F: The Site of Attila's Headquarters. G: The Alleged Gothic Names of the Huns.